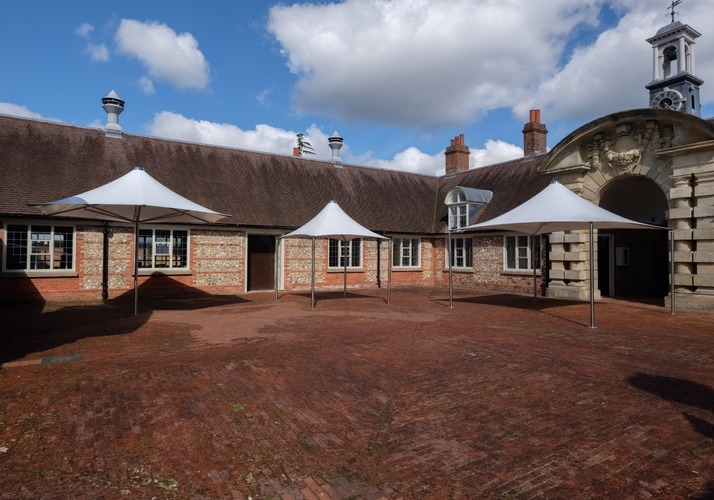 Designed for today's demanding environment and engineered to withstand high winds and driving rain over sustained periods of time, Vortex parasols are the ultimate shade and shelter for commercial premises. Vortex can be used all year round, even in the harshest conditions. Vortex provides the perfect combination of elegance, simplicity and immense strength. 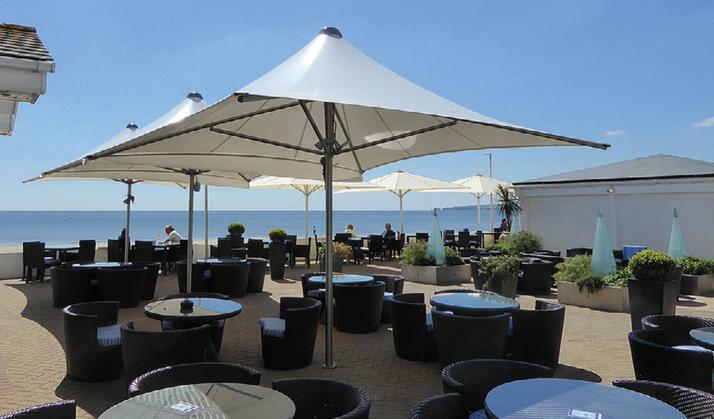 Vortex is design an manufactured in the UK and is the only parasol to conform to BS EN 13782 guaranteeing wind resistance to 100kph. 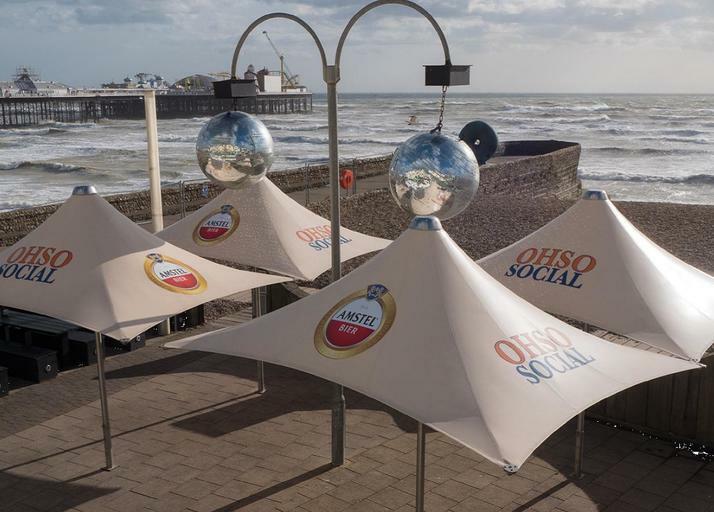 Installed throughout the UK from the Channel Islands to the North West coast of Scotland, Vortex parasols have withstood force 11 winds, snow and torrential rain. The frames are manufactured from 316 marine grade stanless steel, selected for its strength, durability and resistance to tarnishing. 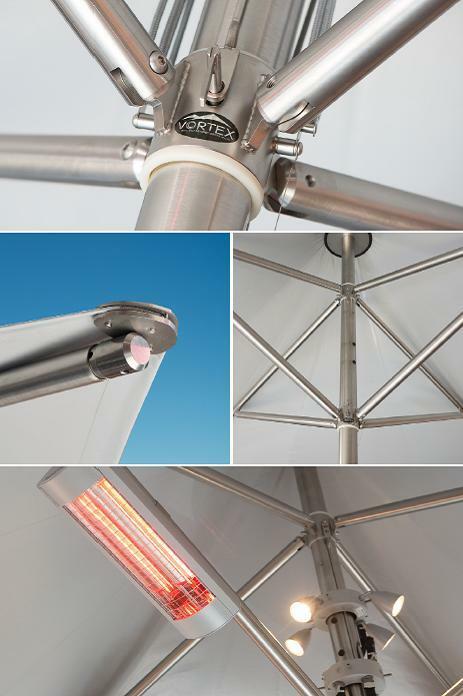 All fitting are also stainless steel, making Vortex parasols 100% recyclable. The high tensile canopy is maunfactued from Ferrari Precontraint 502 Satin or STAM 60002 PVC, the world's leading material for tension membrane structures. Available in 3 different sizes. 2.8m square, 4.2m square and 3.0m x 4.0m rectangle and 52 colours.